Nizamuddin Auliya of Delhi, Amir Khusrow was not only a notable poet but also a prolific and seminal musician. He wrote poetry primarily in Persian, but also in Hindavi. He is regarded as the "father of qawwali" (the devotional music of the Indian Sufis).He is also credited with enriching Hindustani classical music by introducing Persian and Arabic elements in it, and was the originator of the khayal and tarana styles of music. The invention of the tabla is also traditionally attributed to Amir Khusrow. Amir Khusrau used only 11 metrical schemes with 35 distinct divisions. He has written Ghazal, Masnavi, Qata, Rubai, Do-Beti and Tarkibhand. A musician and a scholar, Amir Khusrow was as prolific in tender lyrics as in highly involved prose and could easily emulate all styles of Persian poetry which had developed in medieval Persia, from Khaqani's forceful qasidas to Nezami's khamsa. His contribution to the development of the ghazal, hitherto little used in India, is particularly significant. Amir Khusrow was born in Patiali near Etah in northern India. His father, Amir Sayf ud-Din Mahmud, was a Turkic officer and a member of the Lachin tribe of Transoxania, themselves belonging to the Kara-Khitais.His mother was the daughter of Rawat Arz, the famous war minister of Balban, a king of the Mamluk dynasty (Slave dynasty) (1246-87) who belonged to the Rajput tribes of Uttar Pradesh. 1253 Khusro was born in Badaun near Etah in what is today the state of Uttar Pradesh in northern India. His father Amir Saifuddin came from Balkh in modern day Afghanistan and his mother hailed from Delhi. 1260 After the death of his father, Khusro went to Delhi with his mother. 1271 Khusro compiled his first divan of poetry, "Tuhfatus-Sighr". 1272 Khusro got his first job as court poet with King Balban's nephew Malik Chhajju. 1276 Khusro started working as a poet with Bughra Khan (Balban's son). 1285 Khusro participated as a soldier in the war against the invading Mongols. He was taken prisoner, but escaped. 1287 Khusro went to Awadh with Ameer Ali Hatim (another patron). 1288 His first mathnavi, "Qiranus-Sa'dain" was completed. 1295 Ala ud din Khilji (sometimes spelled "Khalji") came to power and invaded Devagiri and Gujarat. 1298 Khusro completed his "Khamsa-e-Nizami". 1301 Khilji attacked Ranthambhor, Chittor, Malwa and other places, and Khusro remained with the king in order to write chronicles. 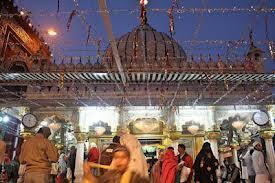 1310 Khusro became close to Nizamuddin Auliya, and completed Khazain-ul-Futuh. 1315 Alauddin Khilji died. Khusro completed the mathnavi "Duval Rani-Khizr Khan" (a romantic poem). 1316 Qutb ud din Mubarak Shah became the king, and the fourth historical mathnavi "Noh-Sepehr" was completed. 1321 Mubarak Khilji (sometimes spelled "Mubarak Khalji") was murdered and Ghiyath al-Din Tughluq came to power. Khusro started to write the Tughluqnama. 1325 Sultan Muhammad bin Tughluq came to power. Nizamuddin Auliya died, and six months later so did Khusro. 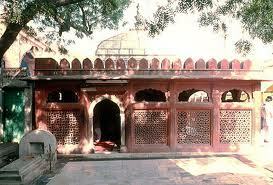 Khusro's tomb is next to that of his master in the Nizamuddin Dargah of Delhi. Popular lore also credits him with inventing the sitar, the Indian grand lute, but it is possible that the Amir Khusro associated with the sitar lived in the 18th century (he is said to be a descendant of the son-in-law of Tansen, the celebrated classical singer in the court of the Mughal Emperor Akbar). See Origin Of Sitar and About Sitars. Jo utra so ?ub gaya, jo ?uba so par. He who enters will drown, he who drowns will get across. Piya piya main karat hun pahron, pal bhar sukh na chain. Calling for my beloved all day, not a moment's happiness or rest. na di kisi nay boojh bataai. But no one has been able to guess what it is. Naar nahin par hai weh naar. Na aap aaven na bhejen patiyan. How am I to pass the dark nights? To my darling my state of affairs? Ishqia/Mathnavi Duval Rani-Khizr Khan (Romance of Duval Rani and Khizr Khan) a tragic love poem about Gujarat’s princess Duval and Alauddin’s son Khizr.